Suspect admits to toppling more than 100 headstones at Jewish cemetery in St. Louis. No hate crime charges expected, say police. 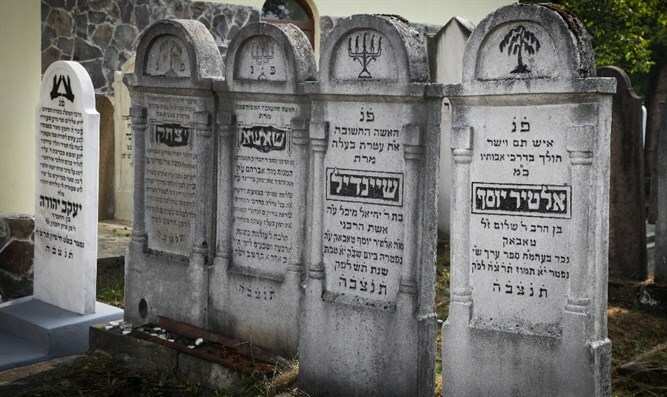 JTA - A man from suburban St. Louis has been arrested for toppling more than 100 headstones at a local Jewish cemetery more than a year ago. Alzado Harris, 34, was arrested on Tuesday after police matched DNA found in a jacket left at the scene of the February 2017 vandalism to Harris, who has a prior criminal history. After his arrest at his home, Harris admitted to the vandalism at the Chesed Shel Emeth Jewish cemetery, the St. Louis Dispatch reported. The attack came as Jewish community centers and other Jewish institutions around the country were receiving dozens of bomb threats. St. Louis County prosecutor Bob McCulloch said during a news conference on Wednesday that the crime “was not good timing on his (Harris’) part,” but that the fact that the cemetery Harris vandalized was Jewish seems to be coincidental. In the wake of the attack, Missouri’s Jewish governor, Eric Greitens, volunteered with members of his staff to help clean and repair the damage to the cemetery, and Vice President Mike Pence visited the cemetery, picking up a rake to help with cleanup efforts.